The Agua Special Utility District wants customers to be informed about the roads being paved and the responsible party. Click on the link below to view the list of road transfers to the City of Palmview as of March 4, 2019. As Agua Special Utility District continues expanding its service area to provide much-needed sewer service to the Palmview community, progress on the Palmview Wastewater Collection System continues to advance significantly. The project is divided into four projects. The latest report from February 2019 shows Project 1 (Group B&F) at 97% completion for gravity sewer lines, 96.6% completion for sanitary sewer connections, and 91.1% completion for pavement replacement. Project 2 (Group A&G) commenced in late September 2017. This project is at 69.4% completion for gravity sewer lines, 77.1% completion for sanitary sewer connections, and 67.8% completion for pavement replacement. to be completed by summer 2019. Agua Special Utility District is currently designing a 7.5 million-gallon-capacity Lift Station to pump the sewer from the Agua SUD East area (Palmview and surrounding area up to the 9 Mile Line), for treatment at the City of Mission Wastewater treatment plant. The City of Mission will be the regional wastewater treatment facility and will provide the treatment of sewer. It is our plan that as the Agua SUD East area grows, Agua SUD will purchase sewer treatment capacity from the City of Mission up to 7.5 Million Gallons daily. The initial sewer treatment capacity purchased from the City of Mission will be 1 Million Gallons daily, which is plenty of capacity to treat the initial phase of the project in the City of Palmview City limits and some areas immediately around the city. Agua SUD has recently received confirmation from the Texas Water Development Board that funding in the amount of $29,300,000.00 is available from the Economically Distressed Area Program (EDAP) in grant funds and from the Clear Water State Revolving Fund ( CWSRF ) a loan of $8, 150,000.00 . The total of this grant / loan funding is $37,450,000. 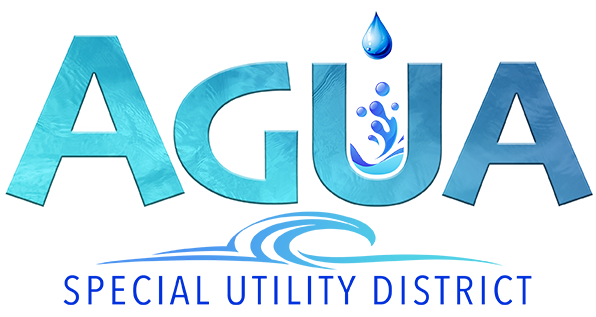 Agua SUD had previously secured $4,750,000.00 through CWSRF funding, $2,375,000.00 in loan and $2,375,000.00 in grant funds for a total construction budget of $42, 200,000.00. The shift from building an Agua SUD sewer plant to treat the sewer locally as opposed to pumping the waste to Mission has it pros and cons, ultimately the environmental compliance issues are the responsibility of Mission. Agua SUD will be charged a negotiated wholesale treatment costs by Mission to treat the waste. Mission will have the benefit of after process effluent or clear water that can be used for beneficial purpose and also the by-product bio-solids (sludge) can be put to beneficial use by Mission. Agua SUD looks forward to future phases of the sewer system expansion from Palmview area to the 9 Mile line and bringing first time sewer to as many ASUD customers throughout the Agua SUD eastern area of the district. Please keep looking for new updates as we finalize plans and go to construction of this much-needed project.